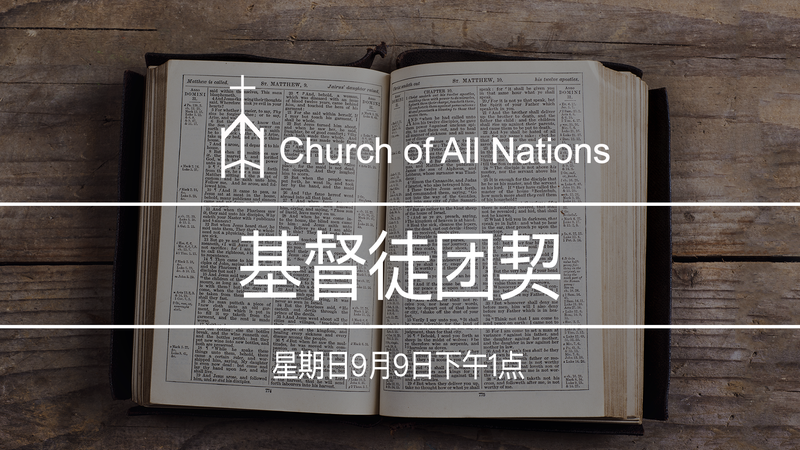 Church of All Nations will be hosting our first Mandarin fellowship on Sunday, September 9! You are invited to join the Education Sunday lunch and the Mandarin fellowship will begin at 1:00 pm in the chapel with Rev. Carl Hanson leading the worship service. Childcare is provided.